From the looks of Jewel's new album cover for Sweet and Wild, this is going to be a fun ride! Jewel looks STUNNING (per usual) all dolled up. A little bit country, a little bit rock and roll if you ask me. PERFECT! 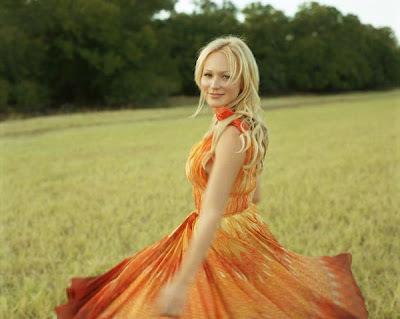 Due on June 8th via Valory Music Co., Sweet and Wild will be Jewel's 7th studio album (of original material - 9th studio album overall), the album earned it's title because, according to Jewel on her blog - Sweet and Wild showcases both sides of her personality. "I seem to be a walking contradiction in life," she says. I am a fairly calm person who reads a lot and writes poetry, but I also like to ride motorcycles and shoot guns." What kind of sound can we expect to hear on Sweet and Wild? Sounds like Jewel is mixing it up this time around, including both the soft sounds of Spirit with the rock & roll sounds of This Way. Sounds like magic to me. "I love rock songs that are up tempo, and I love introspective songs that are lyrical. Usually I make albums that are one or the other - Spirit is very soothing, This Way is up tempo and rocking.... Well, on this one, I decided not to choose, but just go ahead and be both. The trick to making diverse material fit on one album, is getting the sequence right." Sounds like we can expect a little country, a little rock, a little pop and a little pop. Jewel maintains that the focus remains on the lyric and the melody as well the perspective and viewpoint that she writes from. "This album has some very country songs, it has some straight up rock songs, it has songs that lean pop, and some that go back to my folksy roots. But it was all produced through the lens of the country format, so each is colored and warmed up by great instruments like mandolin and fiddle and some of the best players in the world who were kind enough to join me on the album." For more insight into each track, the theme of the album and Jewel's thoughts on the recording process, check out her official blog. Check out Jewel on tour this June. Did you write Everything To Lose specifically for the movie? A rough demo of 'everything to lose' was on a cd I gave to someone with a few demos of songs from the new album. The people doing the film heard it and loved it and so we had to suddenly finish it up in a couple of days last week to get it into the film in time. It's so exciting for me that people will be hearing it this quickly after I've done it and when it's still so fresh for me. When/where did you record it? Rollo, Sister Bliss and I all did our bits at home. I recorded my parts in the kitchen. It's a very easy and fun way to work and is how I've been making my new record so far. It challenges me more when I've only got myself to rely on when I'm recording on my own and I've been able to really go with my own instincts and experiment before anyone hears anything. I finished it off with my brother in the English countryside (hoping not too much bird and cow noise on there!). I really am. It's a song that puts us all in a good mood. It's a true love song really, even though it's talking about that fear you can get when you actually really love someone and have finally got something real to lose. I love the sound of it and I've been having so much fun with working with Rollo and Sister Bliss on this album so far. I'm enjoying getting back to my electronic roots so much. Very happy! Hope you all like it too. Make sure you keep checking Dido's official site for information on the song's premiere sometime in the next few days. While I really did love Dido's single "Don't Believe In Love," the album, Safe Trip Home didn't do it for me. I don't know. Maybe it was the more "organic" approach that she took during the recording/production phases of the album's creation. According to Dido, the new album will return to her electronic roots which leaves me optimistic. In my eyes, there's always room for Dido. I look forward to the new album and song. Canadian singer-songwriter Sarah McLachlan unveiled her new single today on her official website and I love it! 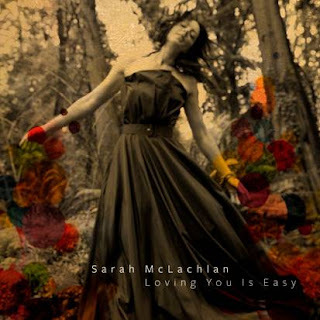 Due out on May 4th, "Loving You Is Easy" is the first single off her new album, (check it out on SarahMcLachlan.com) The Laws Of Illusion, due out via Arista Records on June 15th. So nice to have Sarah back! "One Dream" was...fine. It was the theme for the 2010 Vancouver Olympics so it was dramatic, a little cheesy, etc. THIS is a proper single. Sarah McLachlan is quite a talent and I've been aching for new material since her 2006 holiday album, Wintersongs. I'm loving the single artwork too by the way. Nice sepia tone photo with some overlaid color spots. Very cool. While the color scheme reads a bit too autumnal for my tastes, especially considering that it's going to be a summer album - it's classic and classy, just like McLachlan. The album was produced by Pierre Marchand. You can catch McLachlan this summer on tour with the ladies of the 2010 Lilith Fair. Again, learn more about the single on her official site and listen to it below. Hey guys. Long delay again. I'm sorry. Had a bit of a "breakdown" re: blogging. Wasn't sure I wanted to come back to it. I just don't know how many people actually READ my blog...but in the end, I'm writing about the music and artists I love so here we go again. 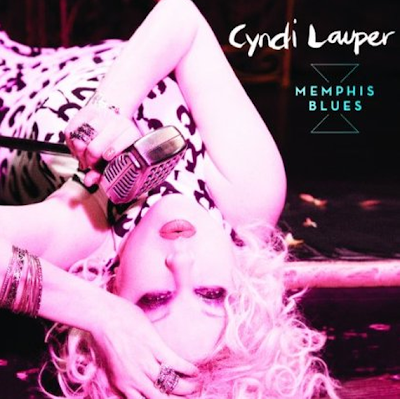 Over on the Pop In Stereo blog (formerly Music Fascination) you can see the new Cyndi Lauper album artwork, for her forthcoming release - Memphis Blues, due out on June 22nd. This album will be Lauper's eleventh studio album and first with Downtown Records (Miike Snow, Diplo, Mos Def, Kid Sister), which is distributed by Universal and Atlantic Records. While I think Lauper has a fabulous voice and will sound fabulous singin' the blues, I REALLY loved her last album, 2008's Bring Ya To The Brink. Oh well. The party can't last forever. I just hope that we get some club remixes! While we're waiting for the new album we have Cyndi on this season of the Celebrity Apprentice. She comes across as a wack-a-doo but SO entertaining and passionate about her GLBT charity, The True Colors Fund. Tune in if you get a chance.